The Search & Save volumes are intended as a guided, hands-on way to get beginning and intermediate collectors involved in active coin collecting by denomination and type. The first five Search & Save books covered Lincoln cents, nickels, State quarters, America the Beautiful quarters, dimes, and quarters. 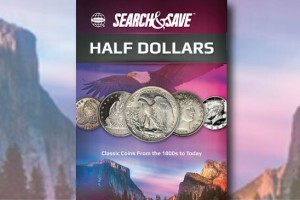 Half Dollars consists of a 96-page hardcover book bound with a Whitman Classic® Coin Album page for storing and displaying a customized coin collection of U.S. 50-cent pieces dating from the 1800s to today. 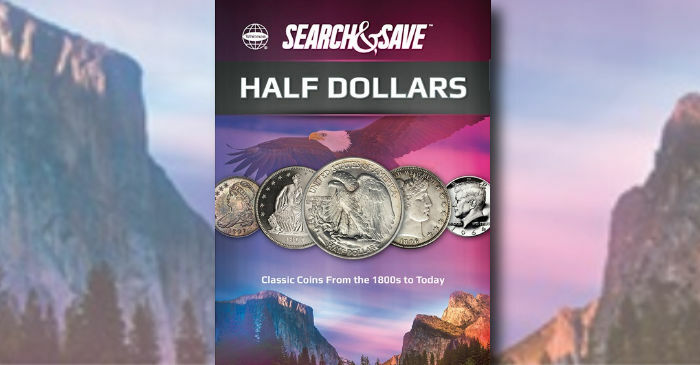 Purchase Search & Save: Half Dollars here.